Designer Drugs is the most comprehensive mass spectra collection of designer drugs, pharmaceuticals, chemical warfare agents and related substances. Carefully compiled by mass spectral experts at the Regional Departments of Criminal Investigation in Kiel, Hamburg, and Wiesbaden, Germany, the database includes 26459 mass spectra of 20381 chemical compounds like designer drugs and medicinal drugs. It is the first database featuring systematic structures in depth. Designer Drugs covers the entire range of designer drugs up to December 2017. Besides designer drugs and medicinal drugs the database covers chemical warfare agents due to the recent interest in homeland security. All data has been taken from both legal and underground literature, providing the most comprehensive picture of these compounds available worldwide. All electron impact mass spectra were given a rating numerical quality index proposed by F. W. McLafferty. As far as possible all spectra were verified by standard mass spectra libraries and checked by mass spectral interpretations. Author Peter Rösner studied chemistry, pharmacology, and toxicology at the University of Kiel. In 1982 he joined the regional department of criminal investigation in Kiel and became the leader of the toxicology department, focusing on drug identification and structure elucidation with GC/MS. Since 1992 he has been a lecturer in mass spectrometry at the University of Kiel. Dr. Rösner received the Jean-Servais-Stas Award from the Society of Toxicological and Forensic Chemistry on April 15, 2005 in honor of his outstanding work on Mass Spectral Databases. Thomas Junge studied Technical Chemistry at the University of Applied Science of Lübeck (Germany). He is a specialist for daughter ion mass spectroscopy in the toxicology department at the Landeskriminalamt in Kiel. Folker Westphal studied Chemistry at the Universities of Hannover and Kiel (Germany), and also holds a degree as Special Chemist for Toxicology from the University of Leipzig. From 1999 to 2004 he worked at the Institute of Legal Medicine in Kiel as forensic scientist. Since 2004 he is leader of the section Analysis of Drugs of Abuse and Forensic Toxicology at the Landeskriminalamt in Kiel. Giselher Fritschi studied Chemistry at the Universities of Mainz and Karlsruhe (Germany). Since 1978 he is working at the Landeskriminalamt in Wiesbaden as forensic expert for toxicological analysis, focusing on the structure elucidation of new designer drugs. Prof. Dr. rer. nat. Dr. h.c. Fritz Pragst, Institute of Legal Medicine and Forensic Sciences, Charité - Universitätsmedizin Berlin, Germany. The Online database of Designer Drugs Online offers instant access to selected mass spectra of Designer Drugs appeared on the market during the year. Designer Drugs Online fills the gap until the next Designer Drugs version is released at the end of a year. Designer Drugs Online is updated on a regular basis during the year, providing the most update-to-date mass spectral information of newly emerged substances. The database can be used with any browser software. 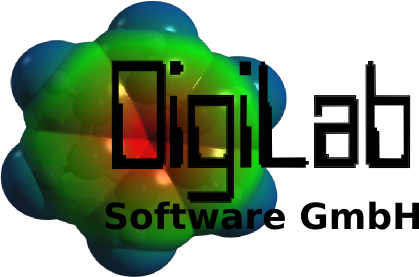 Each entry of the database contains information about name, formula, molecular weight, retention index, quality index, image of the chemical structure and the mass spectrum. The database can be searched by name, name fragment, molecular weight or m/z values. 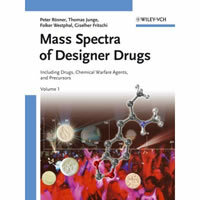 Mass Spectra of Designer Drugs is the CD-ROM version of Designer Drugs, distributed by Wiley-VCH. 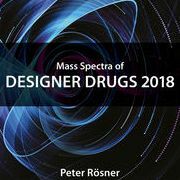 This mass spectra collection covers the entire range of designer drugs up to December 2017. Carefully compiled by mass spectral experts at the Regional Departments of Criminal Investigation in Kiel, Hamburg, and Wiesbaden, Germany, this database includes over 26459 spectra of 20381 chemical compounds like designer drugs and medicinal drugs. The print atlas of the Designer Drugs database covers 4379 compounds of criminal and forensic relevance. Each of the 8800 mass spectrum records is accompanied by a wealth of additional data, including legal category information, GC retention index and data quality indices.